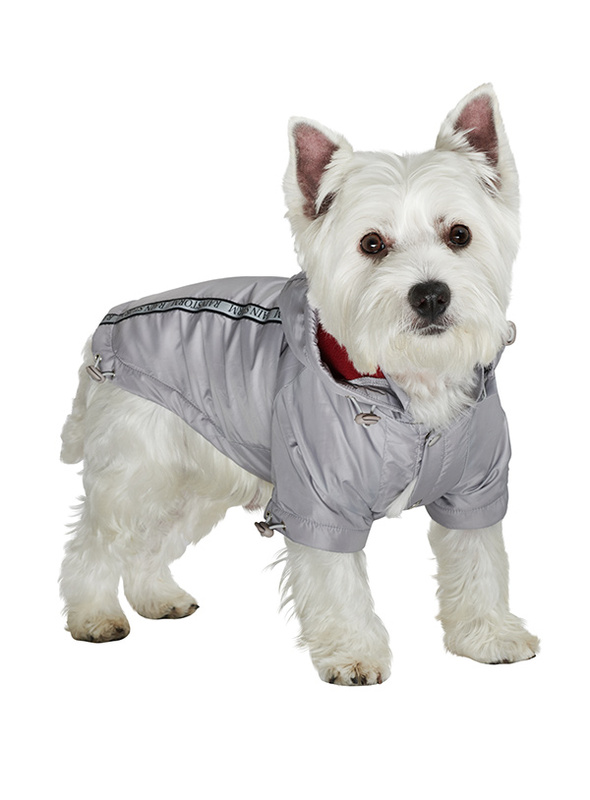 Our new Grey Rainstorm Rain coat will protect your dog from the rain and with it's hi-visibility stripe will help them be seen. 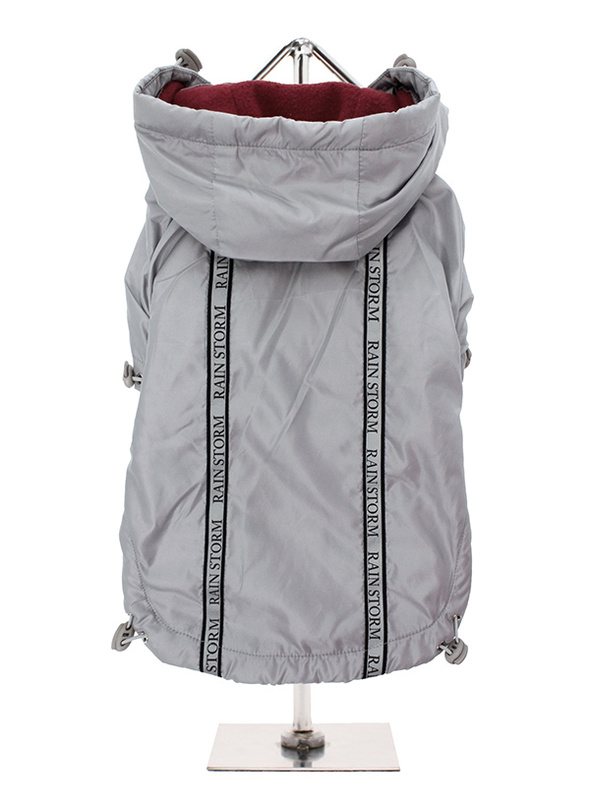 The adjustable draw string hood will keep the raincoat snug to your dogs face and a drawstring on the hem will allow you to get a nice tight fit to keep the body warm and dry. 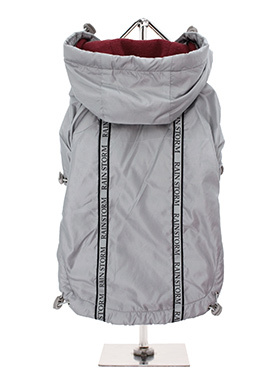 A soft fleece lining will keep your dog comfortable. 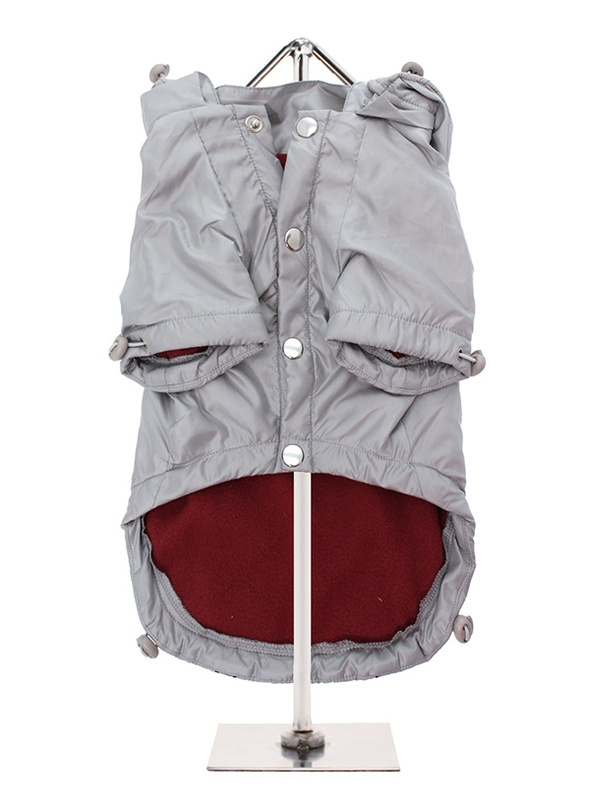 The fastening popper buttons make it easy to put on and take off your dog. The hood is detachable and easy to pop on and off.